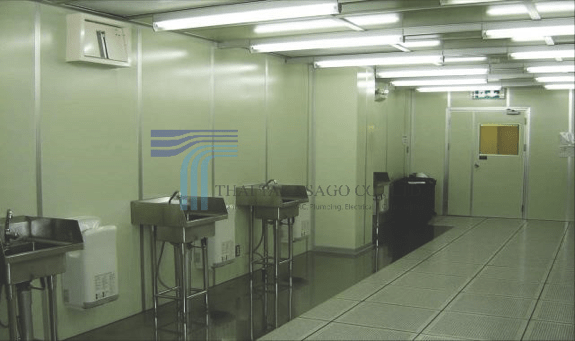 Clean room System – Thai Takasago Co., Ltd.
“Clean room” is a high technology which helps improving production quality, shortening a production process time which leads to a reduction of a production cost. 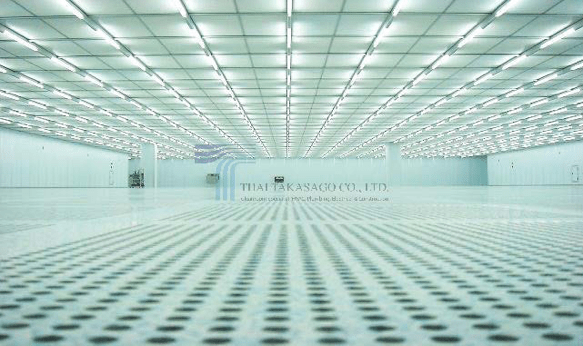 ……………Here at Thai Takasago Co., Ltd. We offer various classes of Clean room that live up to client’s requirement, specifications and tasks. 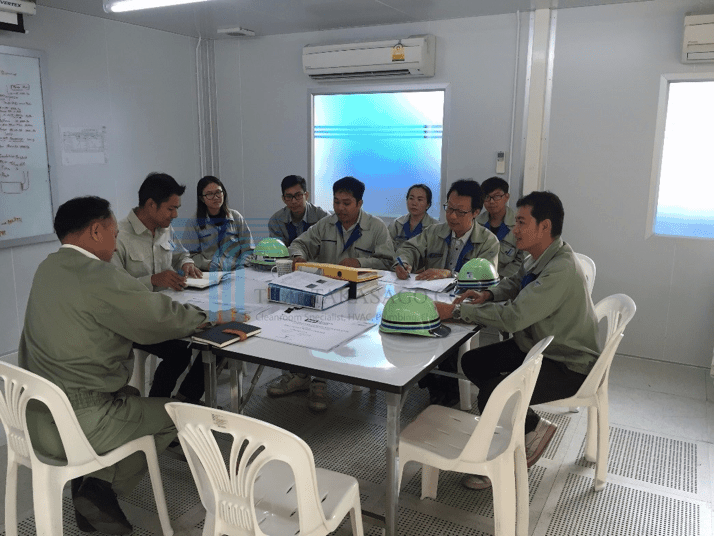 Thai Takasago Co., Ltd. has been operating for almost four decades, we are well-experienced and energy solution partner for your business. We have undergone uncountable projects in countless fields and designs. 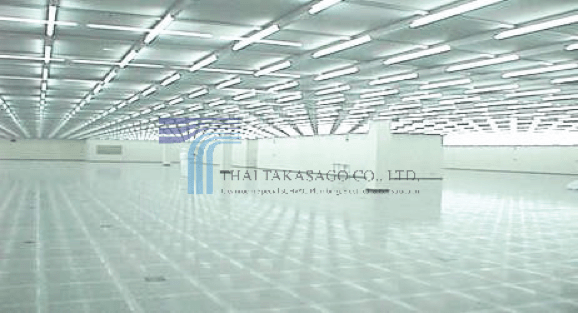 Clean room is one of Thai Takasago Co., Ltd.’s specialties. 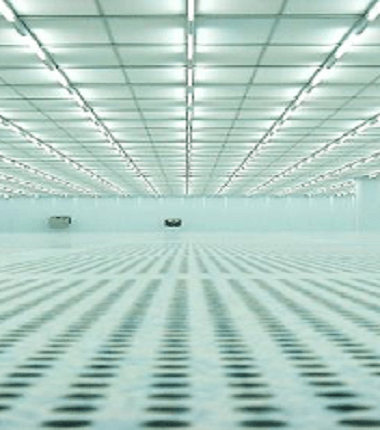 ……………It can be clearly seen that the purpose of Clean room is to clean. However, Clean room can be generalized in multiple purposes. ……………Clean room are classified by the cleanliness of their air. 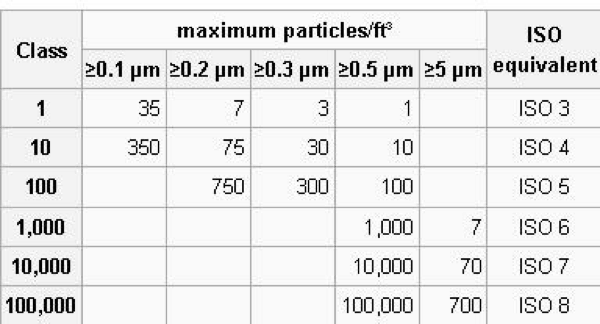 The method most easily understood and universally applied is the one suggested in versions of ‘Federal Standard 209’ up to edition ‘D’ in which the number of particles equal to and greater than 0.5 µm is measured in one cubic foot of air and this count is used to classify the room. ……………Within a room, there are particle-generating activities going on in the room, if the room is empty, very low particle concentrations can be easily achieved. Nevertheless, if the room is filled with production equipment in it and operating, there will be a greater particle concentration. This are the reasons why Clean room is classified in many classes. Class 1 : These rooms are only used by integrated circuit manufacturers manufacturing sub-micron geometrics. 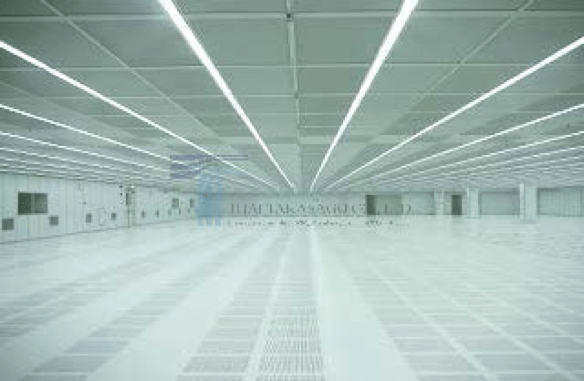 Class 10 : These rooms are used by semiconductor manufacturers producing integrated circuits with line widths below 2µm. Class 100 : Used when a bacteria-free or particulate-free environment is required in the manufacture of aseptically produced injectable medicines. Required for implant or transplant surgical operations. Isolation of immunosuppressed patients, e.g. after bone marrow transplant operations. Class 1,000 : Manufacture of high quality optical equipment. Assembly and testing of precision gyroscopes. Assembly of miniaturized bearing. Class 10,000 : Assembly of prevision hydraulic or pneumatic equipment, servo-control valves, precision timing devices, high grade gearing. Class 100,000 : General optical work, assembly of electronic components, hydraulic and pneumatic assembly. 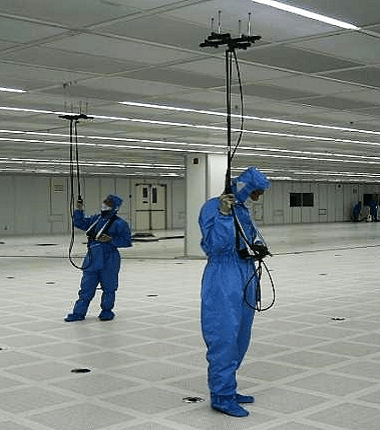 US FED STD 209E Clean room Standards. ……………Apart from US FED STD 209E Standards, Cleanroom Class can also be identified by ISO Standards which is ‘ISO 140644-1’ as below table. 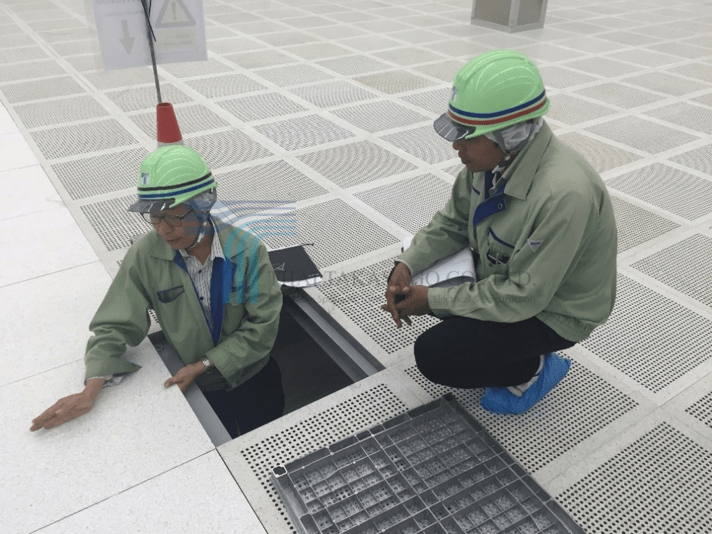 ……………Installing Clean room from Thai Takasago Co., Ltd. we install Clean room by our Clean room experts and well-experienced engineers. 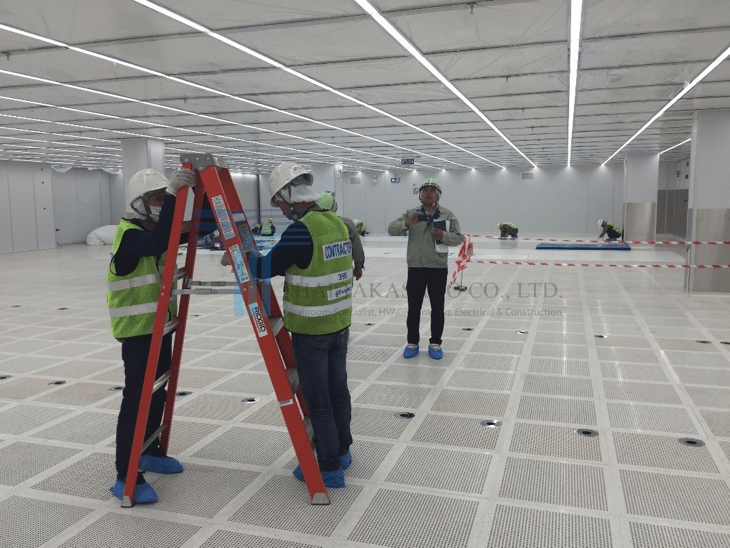 After Clean room is installed, we also have Thai Takasago’s Thai and Japanese engineers inspect every inch of details of installed Clean rooms. 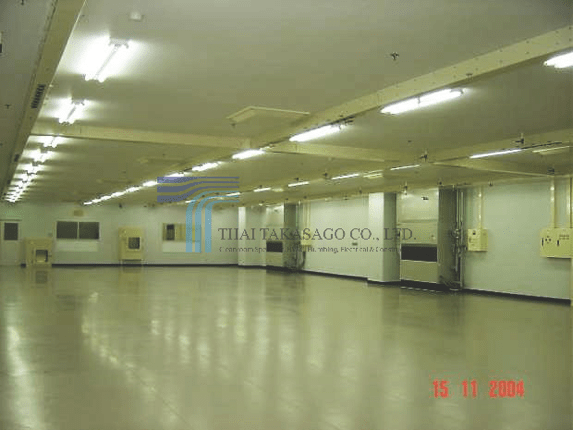 ……………Thai Takasago handle all clean rooms, constructions, installments, improvements, expansions and many more thoroughly by professional engineers in management level to ensure that all the works constructed by Thai Takasago are retained only in finest quality.